(Los Angeles, 6 May 2004) The Queen of Symphonic Rock, Lana Lane, proudly announces her newest live release, "Return to Japan", a double CD release over 2 hours in length that chronicles the vocalist's last four Japanese tours from 1998 - 2002. 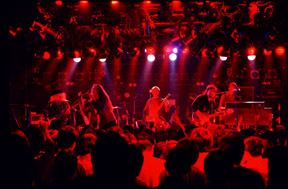 Disc One contains full band performances from the concerts at Club Citta (2002) and Club Quattro (1999), and Disc Two contains acoustic duo performances of Lana Lane and Erik Norlander recorded in Japan from 1998 - 2002 along with remastered full band versions of Lana's renditions of the classics "In the Court of the Crimson King" and "Long Live Rock 'n' Roll" from Club Quattro in 1999. "Return to Japan" includes a full color 20-page booklet with extensive liner notes by producer Erik Norlander and great live photos from the Japanese tours. 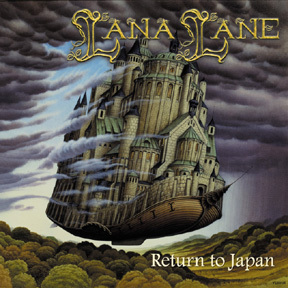 While they do not have identical track listings, "Return to Japan" is the CD companion to the new Lana Lane DVD, "Storybook: Tales from Europe and Japan". The titles are scheduled for simultaneous release. * indicates new tracks recorded by these musicians in the studio for this release in November, 2003.